O+ Ultra 2.0 Price is Php 6,895, Now Comes with 48GB of Storage! Just in time for this year's love month, O+ USA released a new version of the best-selling and very popular O+ Ultra! In 2015, after getting YayaDub Maine Mendoza to promote the handset and beefing its online campaigns, the electronics company was able to sell all of its stocks of the first generation O+ Ultra. I know many of you have been patiently waiting for O+ USA to replenish its inventory of this cool handset and today, I'm happy to announce that they didn't just get more stocks of the phone but they also beefed up its technical specifications! O+ Ultra 2.0 now comes with a whopping 48GB of storage - from just 16GB in the initial release - and supports O+'s new Panoramic Selfie innovation that lets you pan your phone to include your entire barkada in the moment! In terms of design, the new version - with dimensions of 150.5 x 76.5 x 8 mm - looks exactly like the 2015 model. You get the same near-bezel-less face, metallic accent running down the phone's sides, and the durable non-removable polycarbonate back plate. 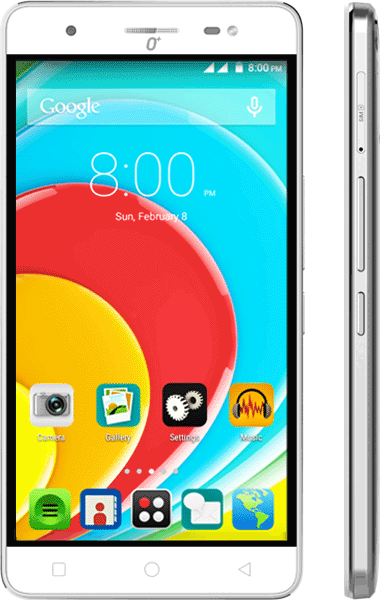 As for its other technical specifications, O+ Ultra 2.0 also features a 5.5-inch HD IPS display panel, 8 MegaPixel autofocus camera with LED flash at the back, 5 MegaPixel autofocus front-facing cam for selfies, Full HD video recorder, Dual SIM Dual Standby capability, and 3G HSPA+ connectivity support. At its heart, the phablet runs Android 5.0 Lollipop with it 1.3 GHz Quad Core ARM Cortex A7 and Mali 400MP2 GPU based MediaTek MT6582 chipset and has 2GB of RAM for multitasking. And of course, this new smartphone is still powered by a massive 4,000 mAh battery pack that lets you take selfies, watch videos, browse the internet, and update your social networking accounts all day and night -- until the next day! O+ Ultra 2.0 is now available for just Php 6,995 at all O+ Concept Stores, kiosks, and authorized retail partners across the country; It's out in two colors: Silver and Dark Bronze. If you want to learn more about this great release and its availability in an outlet near you, you can visit O+ USA's official website or call their hotline at (02) 570 4075.